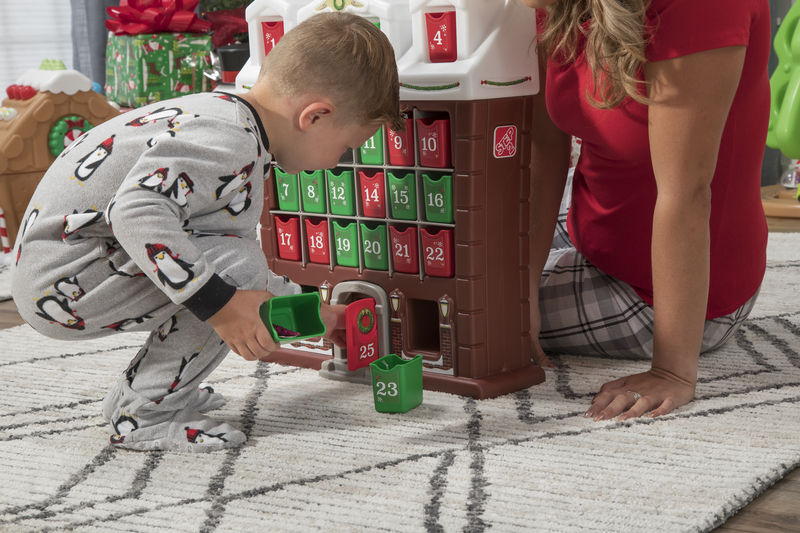 Introduce your little one to a beautiful new tradition—or continue an already treasured one—with this adorable advent calendar, which so cutely resembles a snowy cottage and offers a daily surprise for all the December days leading up to Christmas. There are 25 individual, fancifully decorated bins to hold the treats you put in them (not included). Go ahead, be creative! Tuck in some special sweets, mini trinkets, or even activity coupons for fun things you can do together (like baking cookies, making snow angels, or visiting Santa). Seriously, counting down the days ’til Christmas will never be so much fun again! Delight your child and reward their giddy anticipation with the new My First Advent Calendar by Step2.